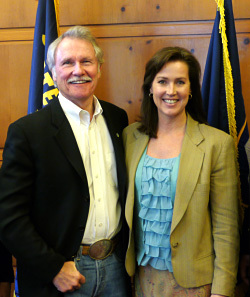 Oregon Governor and First Lady Pledge to Ditch Disposables for the 2011 EcoChallenge! r_and_cylvia_hayes_1238/ to view their EcoChallenge profile page. You can still join us! Sign up at www.ecochallenge.org. 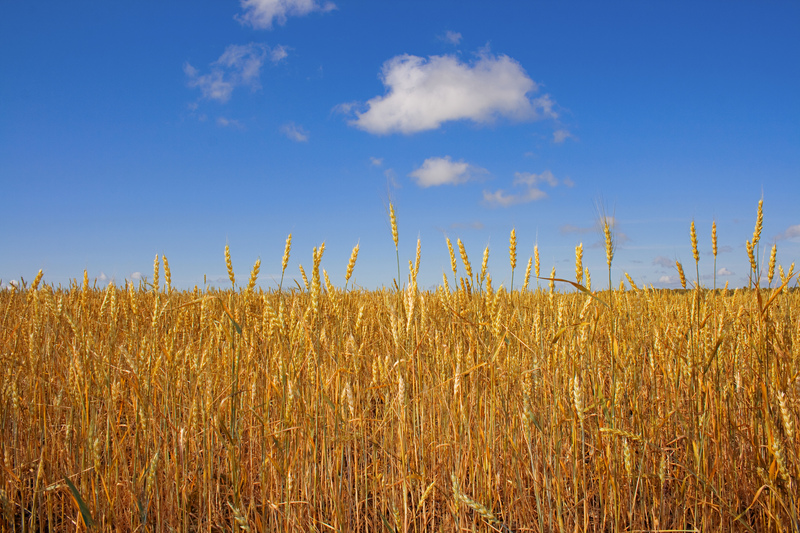 One EcoChallenger Takes on a 125 Mile Local Food Challenge! As you know, NWEI staff, board, volunteers and hundreds of individuals and organizations throughout North America are gearing up for the two week EcoChallenge starting on Saturday October 1st! 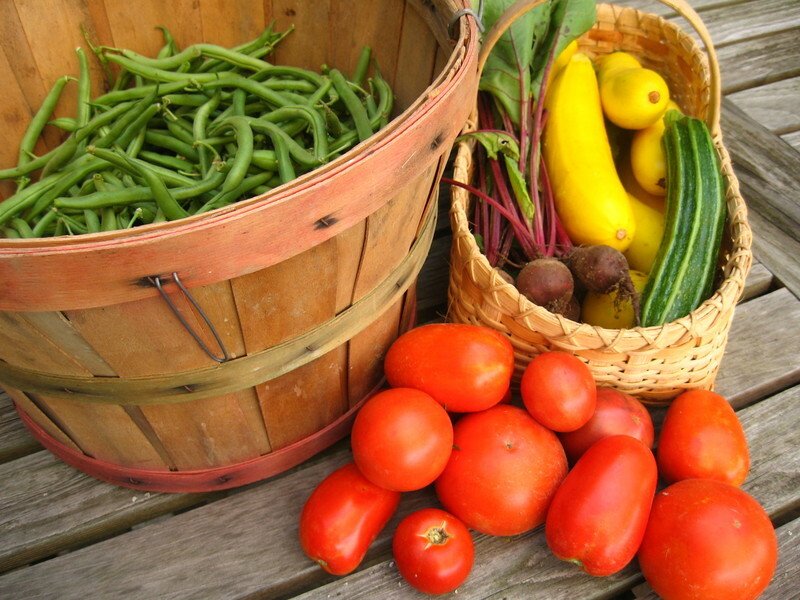 Bill Gerlach has been blogging about his 125 Mile Local Food Challenge. Below is an excerpt. For the full post, please click here. Every once in a while you have to put what you believe in to the test. And for those who have been reading TNP (The Next Pursuit) for a while or know me “off screen”, you know that I’m a huge supporter of the local food movement as a vehicle for building community, local economies and sustainable living. So with that backdrop, I’m excited to launch this new series of posts chronicling our family’s participation in the 2011 EcoChallenge sponsored by the Northwest Earth Institute. The annual Challenge allows individuals and groups to identify areas in their life where they can make positive changes that benefit them, their communities and the environment as a whole. Participants can choose the area(s) that best fit with their situation, including water conservation, energy efficiency, sustainable food options, alternative transportation and trash reduction. After a quick sign up — which allows you to participate as an individual or team — you are up and running. I am doubly-excited because NWEI has asked me to be a feature blogger for this year’s Challenge, sharing posts and updates with the entire NWEI community. Our challenge is straightforward: For the two week period of October 1 through October 15, eat and drink only what is grown and/or produced within a 125-mile radius of our home in Rhode Island. While straightforward, this challenge is far from simple. Though the local and regional food infrastructure has been built up in recent years, it is far from complete — as is evidenced by our research and planning. Our particular challenge is also complicated by the fact that our family of five is vegetarian, has three young children running around and geographically speaking, we are headed into the tail end of the primary growing season. In chronicling our efforts, we believe we can help shed some light on both the great work that has been in play to create local/regional food systems as well as identify the gaps when it comes to the practicality of trying to eat locally/regionally. Think about it: If something were to happen overnight that rendered cheap energy and the ability to ship in food (raw, processed or otherwise) from hundreds or thousands of miles away obsolete, would your local food system be able to support its surrounding population? For the vast majority of us, I am going to say ‘no’. In a very small way, participating in this Challenge will help me bring some real-world experience to the table — literally and figuratively — allowing me to help spur the right kind of system growth. Since deciding to participate in the Challenge, we have been doing our homework and figuring out what we’ll eat and where we’ll buy the food/ingredients. Truth be told, my wife, Sara, has been doing the heavy lifting in this department — mapping out our eventual menus, trips and budgets. Here in Rhode Island, we’re fortunate to have a great non-profit called Farm Fresh RI. Their maps and databases of locally-grown and produced food have been a big asset. When we’ve emailed them with questions about hard to find things like flour, grains and beans, their staff have been extremely helpful. We plan to take this as granular as possible — all three meals, beverages, snacks, treats, etc. So that means I’ll be foregoing things like coffee, tea and chocolate (thank goodness for our local dairy farm, brewery and winery!). Beyond that, we’ve had to have discussions around just how far to take this: Do we not use base ingredients like sugar and salt (we think we have flour covered so Sara can make her breads)? What about other spices and herbs we can get fresh? Can apple cider (it’s apple season here) make it as an orange juice substitute? Haven’t signed up yet for your EcoChallenge? You can do so here: www.ecochallenge.org! For those who’ve been following, NWEI just came off of its bi-annual North American Gathering in Port Townsend, WA, where for 3 and half days over 90 of us convened to share ideas and plan new actions around creating healthier communities and more sustainable food systems. Thanks again to our guest blogger Shelley Randall for covering the conference! A highlight was Will Allen’s keynote address, open to the public, where some 500 people were in attendance. Below is an excerpt from media coverage of Will’s day with conference attendees, Port Townsend community members, farmers and youth. For the complete article from the Port Townsend Leader, please click here. This statement held depth beneath its surface. It was a precursor to one of Will Allen’s resonating and inspiring beliefs: Take action, implement your ideas and empower yourself. Allen spoke about what he calls food deserts – inner cities where people have no access to quality fresh foods, places where the only “food” is available at corner stores and gas stations. Allen told us that “on March 8 of this year, the United Nations finally said that the only way to end world hunger is to develop local sustainable food systems, whether it’s in Africa or in communities like this, or in other communities around our country. Before Allen’s keynote presentation, the Food Co-op, Jefferson County Farmers Markets and NWEI made it possible for him to spend a few hours at the community center, along with other students, young farmers, and food activists like Judy Alexander, Candice Cosler, and Tinker Cavallaro. He emphasized that no single group of people can accomplish their goals, that diversity is necessary. “We need to work together. We need to bring people from corporate America, politicos, medical people, architects, universities, many top-down operators. We need to bring them to the table to work together to form partnerships that really work.” His advice parallels another value at the core of our program: that the most powerful and effective team consists of people with different backgrounds and skills, each pulling their own weight and bringing their own strengths. Allen said, “If you’re passionate enough to stay in the game, you can become successful.” We are encouraged. Many thanks to Shelly Randall, our conference blogger, for providing the following summary of Day One of the our North American Gathering. Visit Shelly’s Blog, Sustainable Together, at www.sustainabletogether.com. “We are the ones / We are the ones we’ve been waiting for,” was the hopeful message raised in song at tonight’s opening event of the Northwest Earth Institute’s North American gathering in Port Townsend. Some of the voices were a little off-key, but we just looked at each other, shrugged, smiled, and kept singing. Not many conferences kick off with rounds and layer songs, but this isn’t just any conference, and the attendees are not exactly shrinking violets. They are bold and innovative environmental activists. They are agitators for change in their communities. They are passionate people with causes–and they are pretty good vocalists, as a whole! Using call-and-response, Gretchen taught us songs to illustrate the four “points of the spiral”—Gratitude, Honoring Our Pain for the World, Seeing With New Eyes, and Going Forth. She wrote some of the songs herself, and has collected others from around the world. The words and MP3 files with the melodies are available at songsforthegreatturning.net. “Songs metabolize human emotion,” Gretchen told us. She is passionate about the power of music to enliven and inspire: here in Port Townsend she co-directs the PT Songlines choir and she leads workshops around the region that combine group singing and Joanna Macy’s The Work That Reconnects. Meet Shelly Randall, our Guest Conference Blogger! She’ll be posting throughout this week’s conference on sustainable food and communities on what she’s seeing and learning, so if you wanted to join us but can’t, we hope this will be a way to share the learning. Also, its not too late to join us! There are still spaces available! Click here for this week’s conference info! Salutations from Port Townsend, where I know many of you will be heading in the next couple of days for NWEI’s biannual North American Gathering. Let me introduce myself as the conference’s guest blogger. I’m Shelly Randall, a 35-year-old freelance writer and mother of a just-turned-3-year-old, and I’m thrilled to be launching my new blog, Sustainable Together, concurrent with the conference. In fact, the impending conference date circled on my calendar has been the kick in the pants I needed to pull off the blog project. I first heard about the NWEI gathering through Local 20/20, our umbrella sustainability organization, and couldn’t shake the idea I had to be there. At the time, I was contemplating “my life’s purpose” as part of a personal finance plan, and when I inputted “sustainability” as the personal and professional goal, everything else fell into place. So I registered for the conference two months ago and have been working steadily ever since to organize my thoughts into a mission statement and to essentially rebrand my communications business, shifting from a maritime focus to a sustainability focus. You see, I sailed—I really did!—into Port Townsend more than a decade ago. For two years after college I had been crewing as a shipboard environmental educator, first with a program on Long Island Sound, then with Sound Experience, on the schooner Adventuress. I met my future husband here at a contra dance and decided to stay. My first job was reporting for the weekly newspaper, covering the port and shipyard beats, among others. I later worked for the Northwest Maritime Center and freelanced for maritime publications. It was my newspaper’s publisher who encouraged me to take my first NWEI discussion course, Choices for Sustainable Living. This was in 2000 or 2001, and he had just completed the course with other city and county leaders and thought it would be worthwhile for his staff. Obviously, it was! Thank you to Deb McNamara for offering me this plum position (!) as guest conference blogger, and I look forward to posting throughout the conference on the lessons learned at presentations and break-out sessions. P.S. 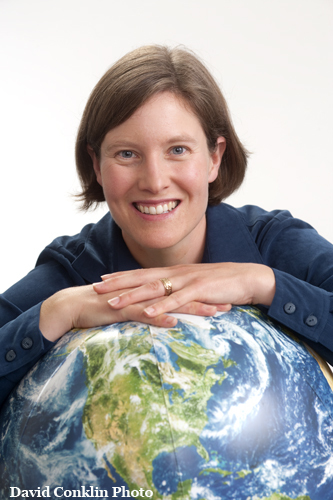 At the conference, I’ll be actively seeking success stories of “going sustainable together” to feature on my blog over the coming months, so if you would like to impart how you share the journey toward a more sustainable life, please seek me out! This past year, the Northwest Earth Institute was fortunate enough to have Melanie Horton, a recent graduate of Naropa University’s Environmental Leadership program in Boulder, Colorado, do an applied leadership internship project looking at how NWEI’s work intersects with environmental justice issues. Her tenure with NWEI helped to bring the complexity of environmental justice issues to the fore. We are grateful to Melanie for helping NWEI craft a plan to address environmental justice in future operations and programming. Look for more articles in our new course books that address these issues – and read below for Melanie’s reflections on her work with us. Over the past couple of years, my definition of sustainability has become much broader. I now think sustainability is as much about the relationships between humans as it is about our relationship to the earth. Unfortunately some communities suffer more harm from things like industrial pollution and the health issues that come along with it. The neighborhoods where industry is located are usually lower-income areas or places where the majority of residents are people of color. Environmental racism describes this unfortunate situation and refers to “the enactment of any policy or regulation that negatively affects the living conditions of low-income or minority communities at a rate disproportionate from affluent communities” (Environmental Justice Group. National Conference of State Legislatures, 1995). These communities suffer from pollution and environmental degradation first and worst, but ultimately we all suffer from the areas we sacrifice to polluting industries. Traditionally activists and social change agents have dealt with environmental and social issues separately, but the environmental justice (EJ) movement is working to connect social inequity and environmental degradation while mobilizing to address needs in both areas. EJ activists recognize that the injustice of diminished health of people and planet in our most vulnerable and underrepresented communities affects us all. The United States EPA (http://www.epa.gov/environmentaljustice/) defines environmental justice as: “the fair treatment and meaningful involvement of all people regardless of race, color, national origin, or income with respect to the development, implementation, and enforcement of environmental laws, regulations, and policies.” Furthermore, the agency says that EJ “will be achieved when everyone enjoys the same degree of protection from environmental and health hazards and equal access to the decision-making process to have a healthy environment in which to live, learn, and work.” I first encountered the term environmental justice in the Political Ecology course I took last year during my graduate studies. My exposure to this movement—through case studies and the work of activists like Van Jones and Majora Carter—made me passionate about wanting to spread the word about the connections between environmental and social justice issues. I chose to do my Master’s thesis project with NWEI because I was inspired by the course guides and how the courses encourage participants to explore their own values, attitudes, habits, and actions through discussion with others. I spent the fall semester learning as much as I could about NWEI and participating in a Sustainable Systems at Work course. My assessment was that there are some ways in which justice and equity issues can be addressed more directly in NWEI’s courses and programming. 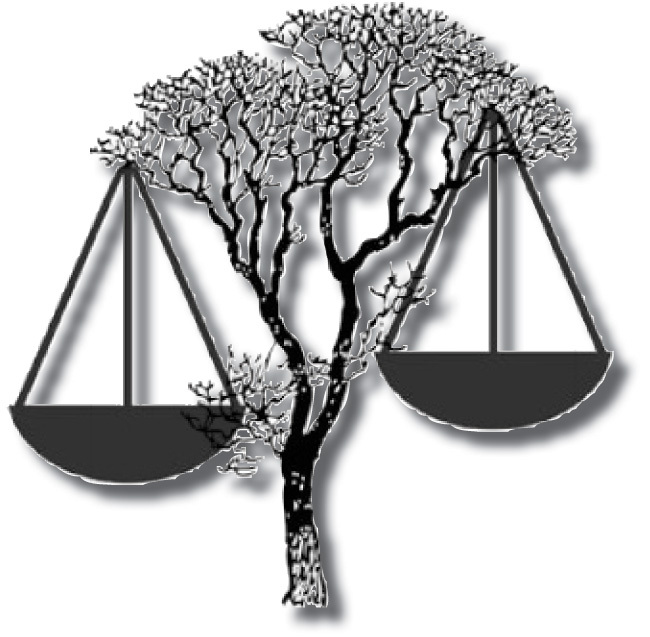 This is not to single out one organization, however—considerations of justice and equity are either overlooked or not very prominent for lots of environmental organizations. Thus, for my project, I chose to advocate for more of a focus on environmental justice issues in the organization’s programmatic materials and to provide them with a list of resources and action steps by which they can begin to more overtly give voice to the EJ perspective. In studying NWEI’s course guides, I learned that the organization already addresses environmental justice somewhat in its courses. For example, Choices for Sustainable Living has a great interview with Van Jones called ‘Bridging the Green Divide.’ Global Warming: Changing Co2urse has several articles in Sessions 2 & 3 that deal with issues like equity, socio-economic disparities, and green-collar jobs. Session 5 in Menu for the Future, ‘Towards a Just Food System,’ highlights issues of justice & equity. And Globalization and its Critics has many articles that deal with EJ issues, especially session 6 entitled ‘Social Equity.’ This was all very exciting for me to see and indicated that the organization shared my values of justice and equity. It also provided a platform on which I could advocate for a more overt focus on these issues in course content. 90% of respondents agree or strongly agree that environmental issues and social justice issues are inextricably linked. 83% of respondents think that educational discussion courses can lead to the empowerment of low-income and communities of color to form local sustainability initiatives. 68% of respondents want to learn more about how to work with low-income communities and communities of color to increase civic participation, civic engagement, and to redress long-time neglect. NWEI’s New Course: Hungry for Change! After much deliberation, our new six-session food systems course has a title! The curriculum team is busy putting on the finishing touches and in the next few weeks, Hungry for Change: Food, Ethics and Sustainability will be rolling off the presses. Hungry for Change is the perfect course for those of us who know that our eating choices are important, but want to delve deeper into the intricacies of our food system. “Whereas Menu puts the focus on the “you” in our relationships and roles in food systems, Hungry puts the focus on the systems. We really wanted to emphasize the complicated interconnections among politics, health, social justice, ethics, and environmental impact in food systems, while still looking at how we contribute to and what we can do to change these systems. Hungry for Change also includes Action Plans, a great way to help participants commit to lasting change. From podcasts to interactive websites, our new course provides excellent additional resources for those who are Hungry for more. Check out the Hungry for Change flyer here! You can expect a late September arrival – stay tuned for more details! For more information or to pre-order a copy of the book, you may call our office at 503.227.2807 and speak with any member of the outreach team.